A750C is aim an extreme harden solid design of heavy-duty crushing. 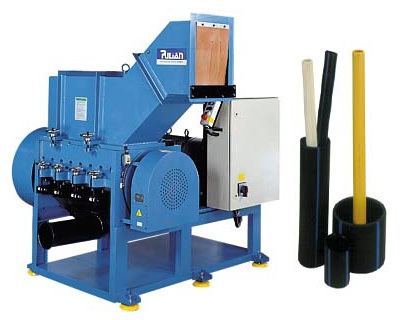 Pulian provides variously plastic granulators and plastic shredders equipment over 100 models to satisfy customer. The granulators and shredders can be used multiple ways and be adopted with every producing line. In additional, we supply conveying storing equipments, drying, mixing & blending equipments, specialized machinery auxiliary equipments, plastic recycling machine & equipments, and centralized system. Pulian's foundation is constructed under the need of our clients therefore we value each experience and comment that you contribute. We had started from auxiliary machines for plastic and rubber industries to now we stretched across to many other areas like the food industries and recycling industries.With the customized products and the characteristic service of "Professional, Responsibility and Project managing", we own the recognition from the world and we are increasingly expending the exchange of skills and service, leading us towards the excellence. With theexpectation of Pulian in future we hope to bring you a better and valuable service.